Wat is dit voor site? Wij zoeken de goedkoopste boeken op internet. 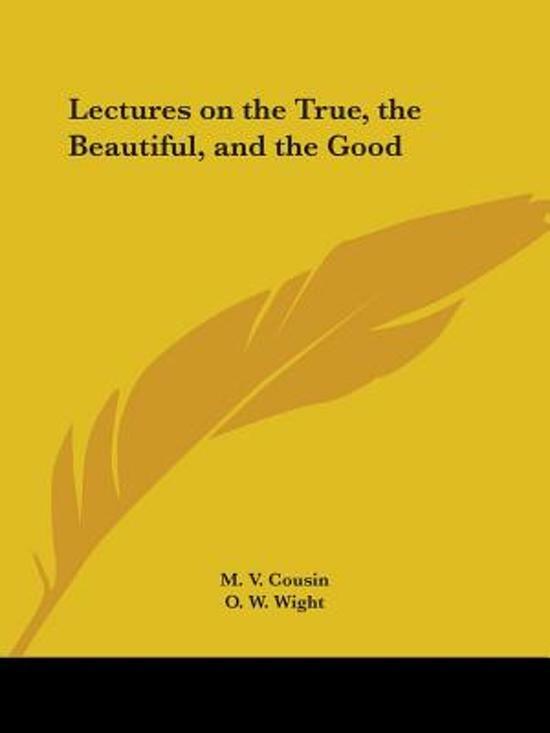 Lectures On The True, The Beautiful, And The Good (1858)vonden we het goedkoopst op Bol.com voor €30.99. We hebben gezocht in nieuwe en tweedehands boeken. Rechtsonderaan de pagina kan je het boek direct bestellen	via Bol	.com. Increased by an appendix on French art. The eighteen lectures which compose this volume have the particular trait that, if the history of philosophy furnishes their framework, philosophy itself occupies in them the first place and that, instead of researches of erudition and criticism, they present a regular exposition of the doctrine which was at first fixed in the author's mind, which has not ceased to preside over his labors. It contains the abridged but exact expression of his convictions on the fundamental points of philosophic science. The method that is the soul of their enterprise, principles, processes and results will openly be seen.